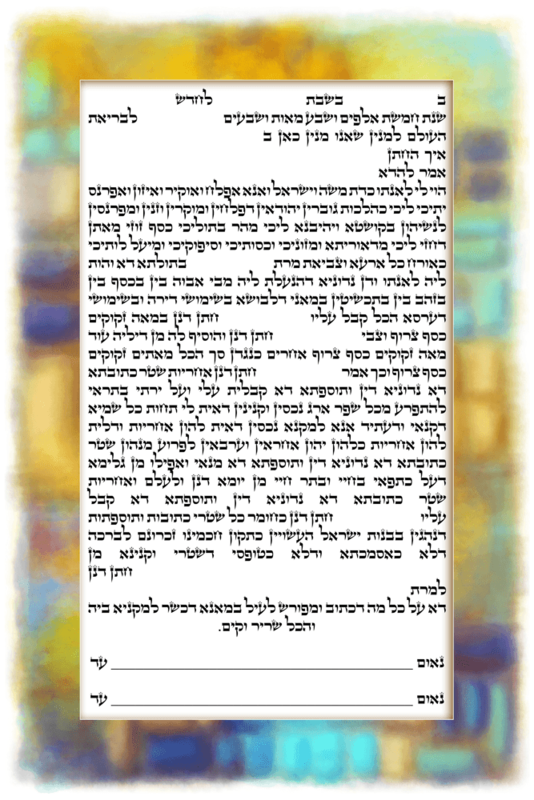 At Ketubah AA not only are we all, as artists, dedicated to creating gorgeous Ketubot that are significant both in meaning and design, but we are also are committed to creating Ketubot that hit every price point. We are excited to launch our budget friendly line of Ketubot, The Simple Ketubot. Sold exclusively through Orthodox Ketubot, the Simple Ketubot will hit the mark for both price and quality design.